Eva’s Original Chimneys is expanding! 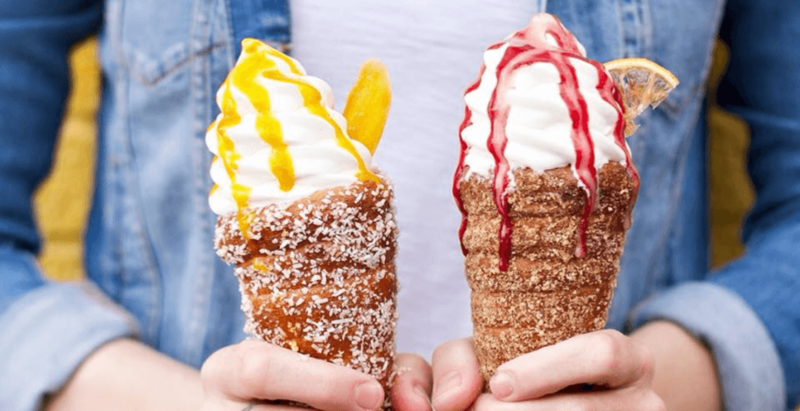 The makers of cylindrical Hungarian pastries (AKA Kürtöskalács in Hungarian or Trdelník in Czech), are already locally famous in Toronto where Eva’s first established itself with a food truck followed by an outpost in The Annex. 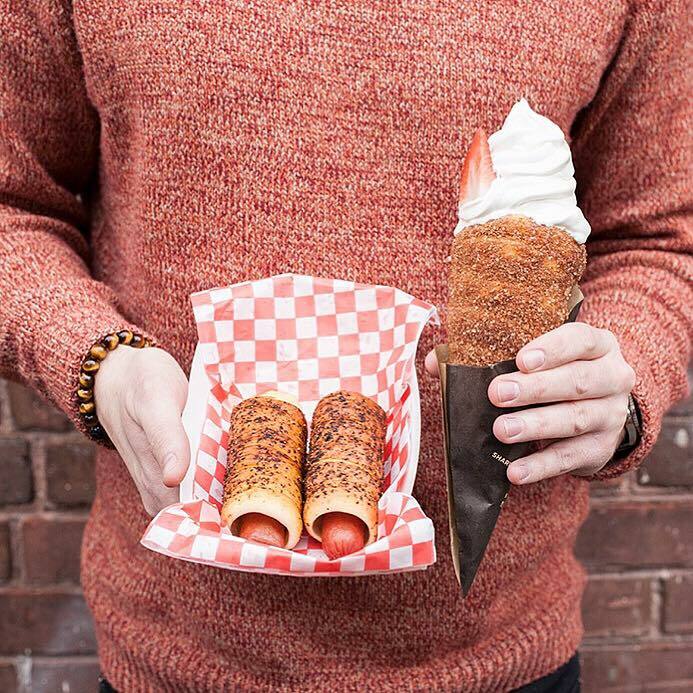 Chimney cakes served sweet (rolled through choices of cinnamon sugar, shredded coconuts, or crushed walnuts and filled with sweet spreads including Nutella or cream cheese icing), as well as chimney cones filled with soft serve have become coveted snaps for Instagram. A savoury version called Chimdogs (stuffed with hot dogs and loaded with condiments) has also recently been released. Luckily there will soon be more destinations than ever to satisfy your chimney cravings. Locations are in the works including a pop-up at Scarborough Town Centre, as well as an outpost in Port Credit.